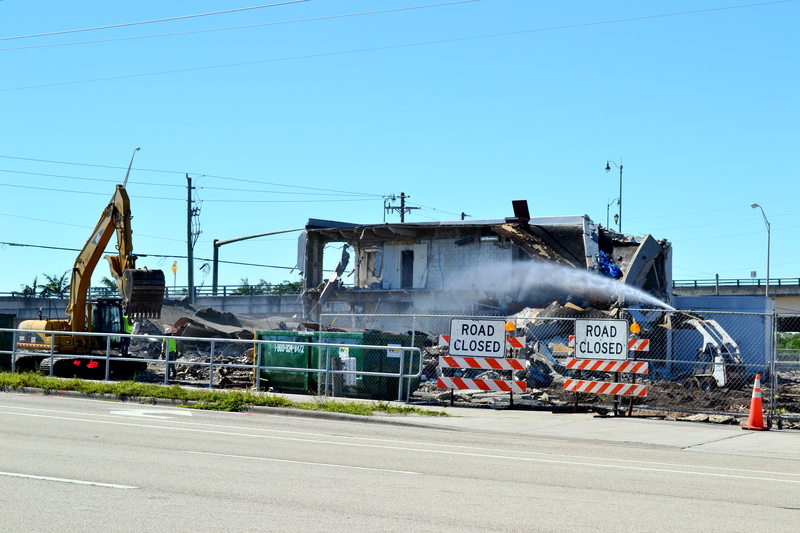 The construction team at the EB-5 funded project, Harbourside Place, made significant progress today, with the demolition of the existing First Union Bank building. 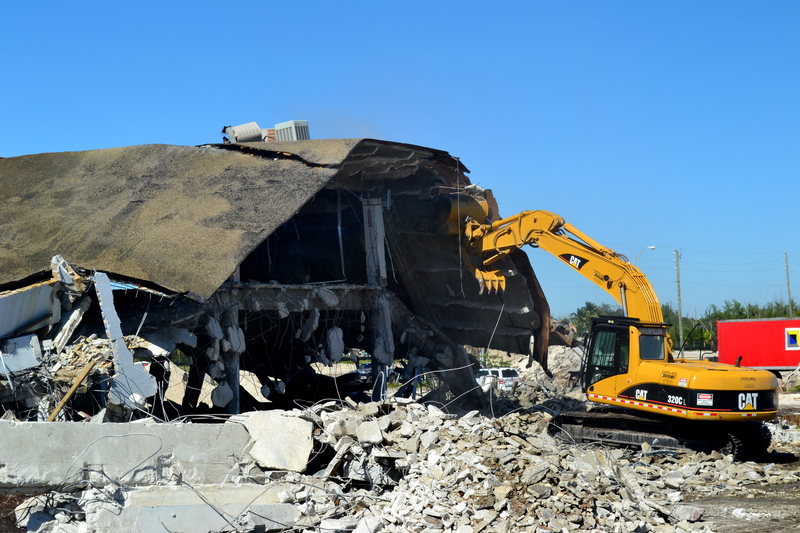 This will make way for one of the many buildings that will make up the future Harbourside Place project. 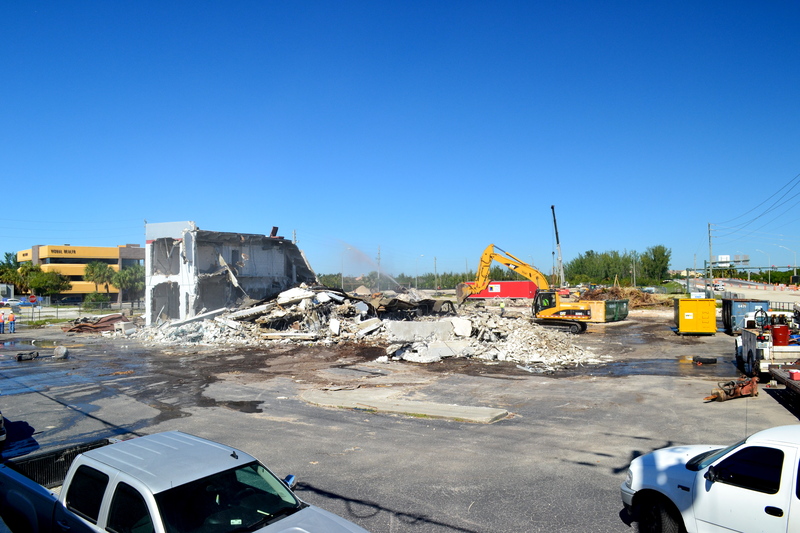 Look back for more updates as the construction team begins to install the building foundations, drainage, and utilities. 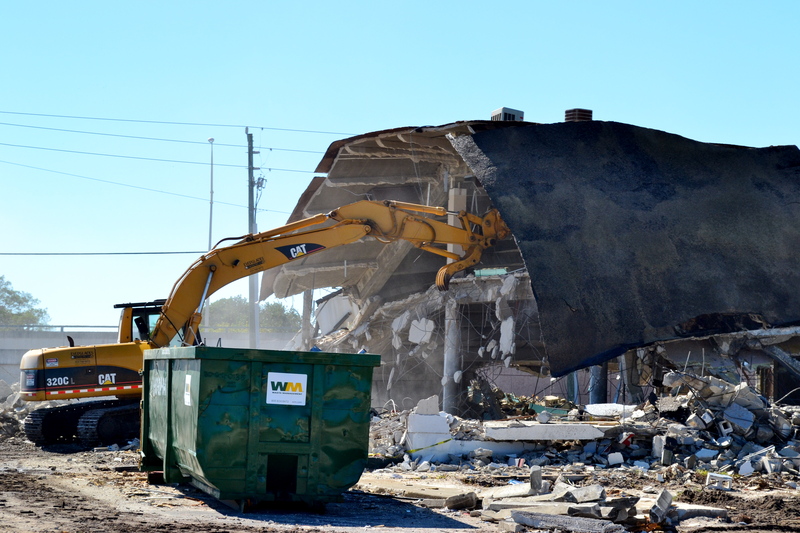 Excavator demolishes the First Union Bank at the Harbourside Place project. 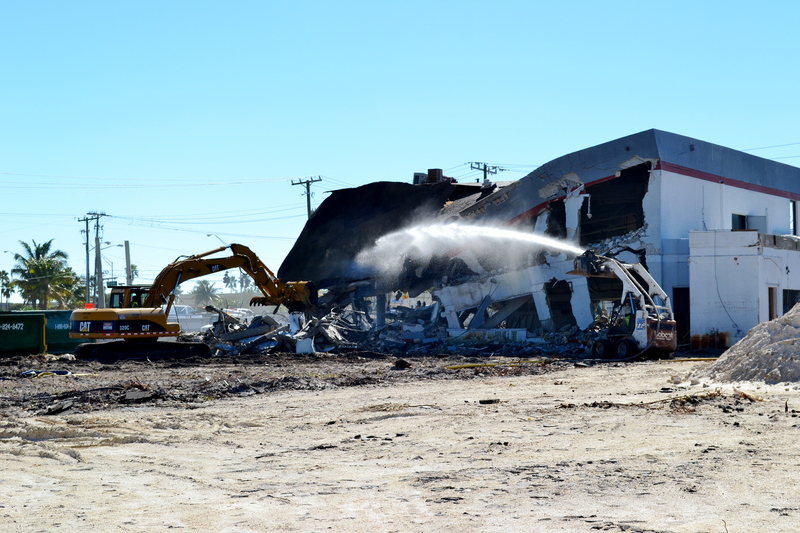 Building is now almost completely demolished. For EB-5 Visa Investment opportunities in Harbourside Place and other Florida Regional Center Projects, please visit http://www.visaeb-5.com/. Subscribe to our blog for construction updates and photos or follow us on Twitter @eb5palmbeach for the most up to date information.